The Roband SFX25RD matches the complete range of Square Glass Hot Foodbars. 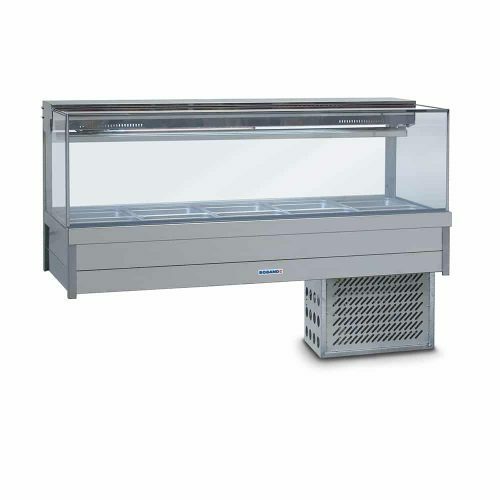 The refrigerated cold plate and cross fin coil foodbars are the ideal solutions for displaying food that needs to remain cold. They are designed to take a variety of gastronorm pans up to 65mm deep.